Scott Kay, an industry leader in bridal jewelry, is known for creating dazzling diamond treasures designed to last the tests of time. Symbolic of your true love and devotion, this Scott Kay semi mount and diamond band is the perfect choice for the modern bride-to-be. Unique in style, this Scott Kay creation evokes modern curves that showcase dazzling round brilliant diamond accents. Crafted in lustrous platinum, this fashionable engagement ring shines with two bezel set diamonds, .24 TDW, to perfectly compliment your personally selected center stone. (Sold Separately.) 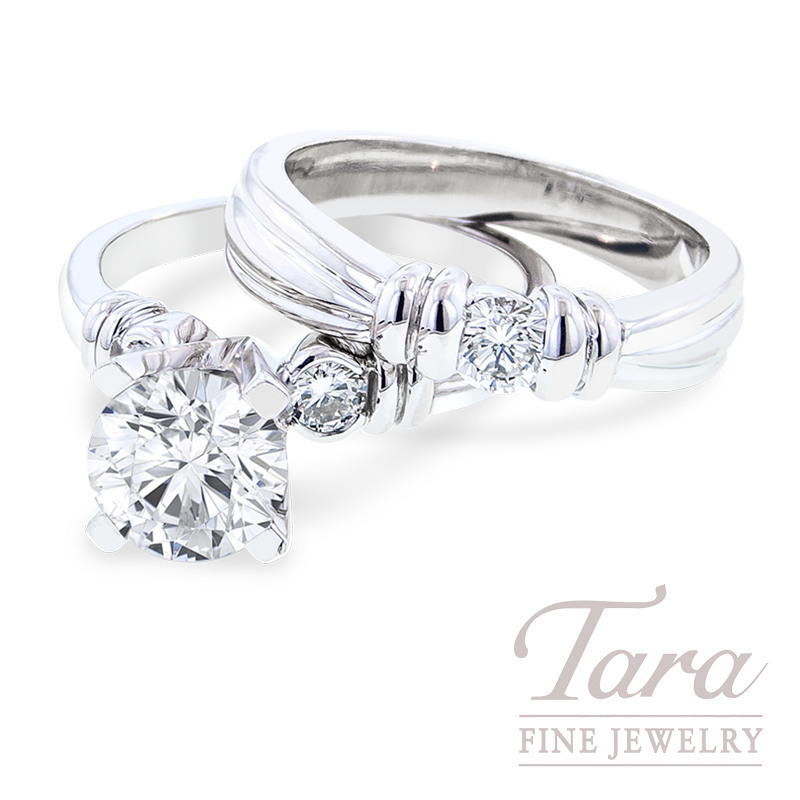 Complete with matching Scott Kay diamond wedding band featuring a simplistic 1/4 carat bezel set diamond, you can count on this stunning diamond wedding set to tell your unique love story. Whether you are shopping for a luxury watch by Rolex, Tag Heuer or Omega, or eagerly searching for the ideal ring to "pop the question", Tara Fine Jewelry Company is here to offer you the finest jewelry selection matched with first-rate personalized service.